As a teenager, I first began skiing in the North Shore Mountains. Mountaintop views from Seymour, Grouse, and Cypress are often stunning. Mountains cause us to realize that the world is so much bigger than our compartmentalized life. They are a way to get away, to recover perspective, to remember who we are in the frantic busyness of North Shore life. While I loved skiing the North Shore Mountains as a teenager, I still felt an inner emptiness. Something was missing that I could not put a finger on. I had no idea that I was on a spiritual journey. At age 17, in the final months of Grade 12, I had a mountaintop spiritual experience where I met God and within a week felt called to ordained ministry. My maternal grandmother and mother, who were more discerning than me, both knew already that I would end up as an Anglican priest. My plan had been to be an electrical engineer like my father. Instead I became a social worker before becoming a priest. As of this May, I will have been ordained now for thirty-two years. I love the Anglican way, even with its challenges. 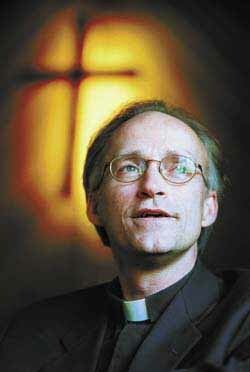 I also deeply love the wider Church, with its rich interdenominational flavours. It is good to appreciate the strengths of one denomination, without being narrow or rigid about it. Anglicans do not have the corner on biblical truth, but we do have a contribution to make in the wider picture. 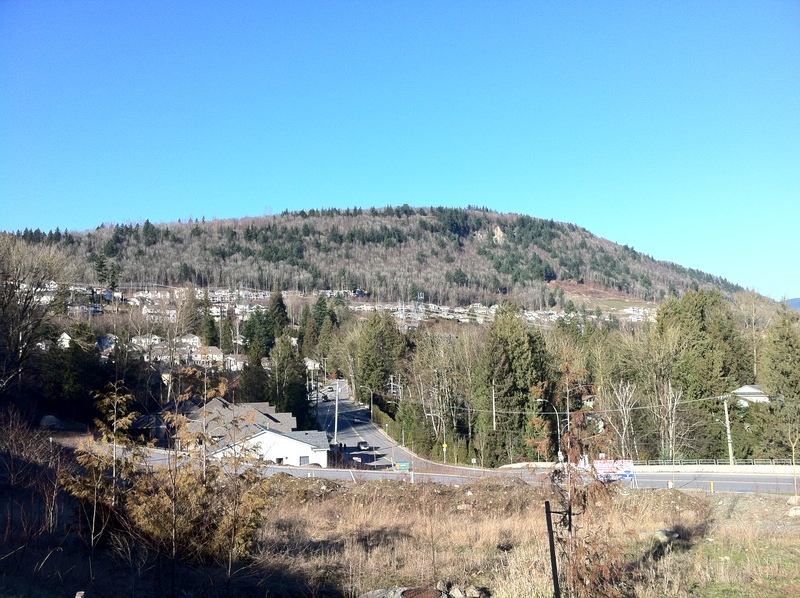 While on Mount Sumas, I journaled on my IPhone what I was hearing from the Lord. While none of these impressions were ‘written in stone’, I sensed God speaking to me many times during that month. God reminded me many times that I am his adopted son, that I am loved and accepted. A prayer sabbatical is a wonderful way to slow down and just listen to the still small voice. God showed me that I don’t need to rush ahead of him, that he is in charge, and I need to surrender afresh to his will and purposes. While on Mount Sumas, God was renewing and refreshing my heart. Many times he reminded me of that original mountain top experience that I had with him in Grade 12. My prayer for those reading this article is that we may be reminded that he is humble and gentle in heart, and that he loves to give rest to our souls when they are weary and burdened (Matthew 11:28-30). 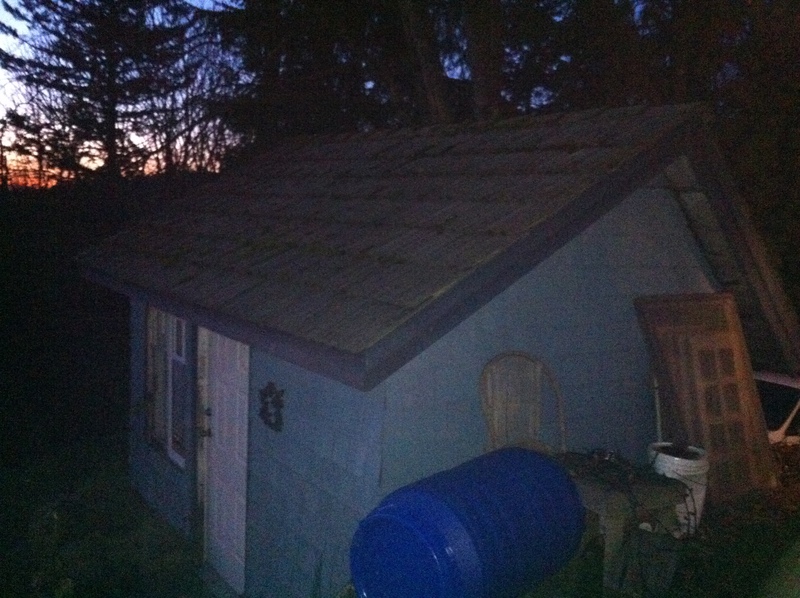 Categories: Uncategorized | Tags: adopted son, Anglican priest, Anglican Way, cabin, Cypress Mountains, experience, Galatians 3, Grouse Mountain, hearing from the Lord, humble and gentle in heart, IPhone4, Jesus, listening, loved in the beloved, Matthew 11:28-30, Moses, Mount, Mount Seymour, Mount Sinai, Mount Sumas, mountain, mountains, mountaintop, mountaintop experience, North Shore, pastor, prayer, prayer sabbatical, priest, refresh, renew, renewal of the heart, rest, restoration, Sabbath, sabbatical, shabbat, slow down, social work, Social worker, solitude, still small voice, striving, Sumas Mountain, surrender, Ten Commandments, weary and burdened, written in stone | Permalink. There’s an oft-heard saying in the recovery community: “We’re as sick as our secrets.” Over the years, I have met many people in abusive situations who have paid a great price to eventually extricate themselves from the vicious cycle of manipulation and recrimination. Sexual and physical abuse, in particular, scars the victim deeply. Often the victims falsely blame themselves. Recovery from abuse involves breaking the conspiracy of silence and deception perpetrated by abusers. Only the truth, however painful, can really set us free. Secrecy keeps us chained to our abusers. At the heart of the ‘twelve steps’, in Step Four and Five, is the willingness to break the power of secrecy by admitting to God, yourself, and another person the exact nature of how you have wronged other people. I have done many ‘Fifth Steps’ for others over the past twenty-eight years. It is always such a privilege. I feel like I grow so much through this opportunity. I notice, however, that ‘Fifth Steps’ are very difficult in our secretive, victim-based culture. Many people want to come to me and admit the exact nature of how they have been wronged, but not how they have wronged other people. Until we can open up and get such things off our chest, we are still stuck with guilt, recrimination, and self-doubt. We really are as sick as our secrets. The Good Book tells us to cast our cares upon the Lord, for He cares for us. I have found that sharing deeply my heart with another caring, listening person can be profoundly liberating. That is why we are encouraged by James, Jesus’ brother, to ‘confess our sins to each other and pray for each other that we may be healed.’ I have a number of friends who have had the courage to go see Bonnie Chatwin, a North Shore Pastoral & Clinical Counselor. It was not at all easy for them to do this, but I was amazed by the breakthroughs that they have achieved. 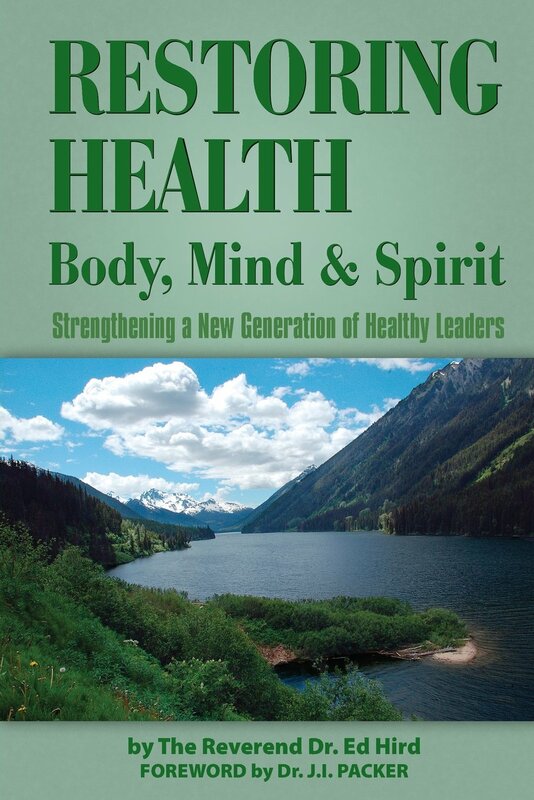 How much do we want to be well? Often the price of being well is giving up our obsessive need for independence and secrecy, and beginning to trust another person with our life story. We as Canadians live in a culture that has become more secretive and private. The vast majority of Canadians still believe in God, prayer, and Jesus’ resurrection, but such faith concerns have largely gone into the closet. There is a widespread perception that faith is so personal and private that it cannot be mentioned publicly. The fast-rising and falling Da Vinci Code fad fit totally into that way of thinking. 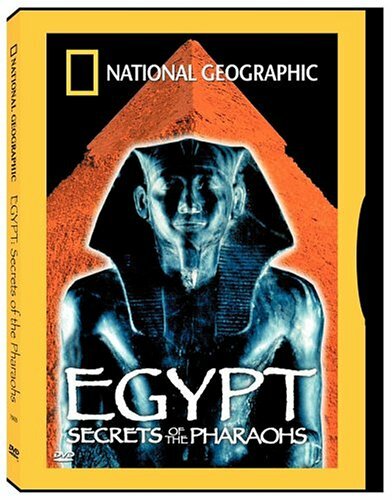 It implicitly taught that true spirituality is about dark hidden secrets that only the elite may know about: secrets allegedly hidden in Da Vinci’s paintings, secrets covered by an alleged secret society named the Priory of Sion, secrets about Mary Magdalene and Mother Eve in the Garden of Eden. 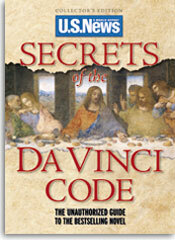 Over one hundred million North Americans have either read the Da Vinci Code book or seen the movie. There is something in us that is drawn to secret knowledge and secret passageways. 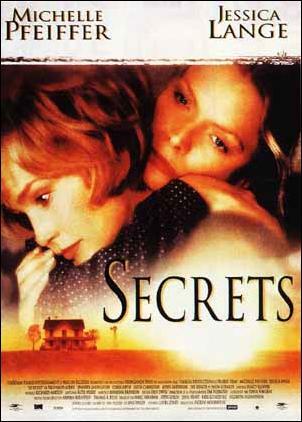 But is secrecy really the way to health and life? Is secrecy really the key to genuine spirituality? Contrary to the claims of the Da Vinci Code, Christianity has no secret codes, no secret initiation rites, no secret vows. Jesus said nothing in secret. Jesus brought everything out in the open. We really are as sick as our secrets. Categories: Uncategorized | Tags: abusers, abusive, admitting to God, Anglican Coalition in Canada, Anglican Mission in the Americas (Canada), As sick as our secrets, Battle for the Soul of Canada, Bonnie Chatwin, caring, cast our cares upon the Lord, closet, confess your sins to one another, Da Vinci Code, deception, falsely blame themselves, Garden of Eden, God, He cares for us, health, Independence, Jesus, listening, Manipulation, Mary Magdalene, Mother Eve, North Shore News, Paul, physical abuse, prayer, Priory of Sion, private, Rabbi Saul, recovery community, recrimination, resurrection, Rev Ed Hird, scars, secrecy, secret vows, self-doubt, sexual abuse, silence, St. Simon's Church North Vancouver, Step Five, Step four, the exact nature of how you've wronged other people, the victim, trust, truth sets us free, twelve steps, yourself and another person | Permalink. Marriage can often be overwhelming for many. 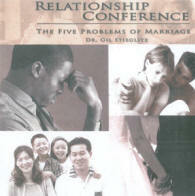 That is why I so much appreciate the initiative being taken by Dr. Gil Stieglitz in bringing new hope to marriages. Through his years of study and practical interaction with many couples, Gil has discovered that there are only five problems in any marriage. This insight is helpful, especially for men. It helps us get a handle on the challenges that we face in developing intimacy, that there are only five problems in any marriage. He has seen phenomenal breakthroughs when couples begin to address and work on these five key areas. To assist marriages, he has developed a six-part DVD series , with accompanying books, which walk couples through each of these five areas. Dr. Gil, who pastored a congregation for many years, believes that churches can make a big difference in helping strengthen marriages. After all, God both invented and is deeply committed to the ‘institution’ of marriage. During the twenty-three years that I have been pastoring St. Simon’s North Vancouver, I have seen many outwardly successful people on the North Shore whose inner lives were crumbling because of relational challenges. Sometimes it takes a major crisis, like a marriage struggle, before we are willing to cry out to God and admit how much we need him. Many men that I have known are totally baffled when their wife finally packs up and leaves. Dr. Gil believes in being very practical in the help that he offers to men and women. So he has developed two acrostics that assist us to build marriages of great joy. For men, he has developed the acrostic: H.U.S.B.A.N.D. which identifies the fourteen top needs of our wives. (Honour, Understanding, Security, Building Unity, Agreement, Nurture, Defender). Love, says Dr. Gil, is meeting needs. The first letter “H” (Honour) has been most helpful for me personally. Dr. Gil teaches that women do something every day that many men don’t. They give an informal ‘computer test’ to their spouse to see where they are in the structure of his priorities: “Are they above his work or below his work, above the children or below his children, above his hobbies or below his hobbies?” If the wife does not win that computer test, guess who loses. The husband does, because the wife cannot blossom and respond to him from the depth of her being. Every day, the husband needs to honour or add value to his wife in practical, specific ways. Many men know how to be men, but not husbands. The word ‘Husband’ actually comes from the term ‘Husbandman’, which means ‘gardener’. We as husbands are called to ‘garden’ our wife, to nurture her, care for her, and put her first under God. You can find out more about the ‘H.U.S.B.A.N.D.’ acrostic by checking out Dr. Gil’s book ‘How to Be a Godly Husband’ . 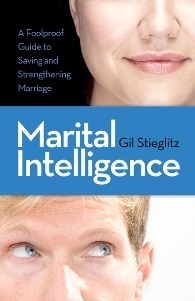 I am so pleased about Dr Gil’s book Marital Intelligence that brings together all of this material into one helpful book. My prayer is that those hearing about these resources will not just be hearers of the word but doers of the word who put this into practice in their own marriages. Categories: Uncategorized | Tags: Adaptability, Agreement, Anglican Coalition in Canada, Anglican Mission in the Americas (Canada), Attractiveness, Battle for the Soul of Canada, Building a Great Marriage of Joy, Building Unity, Companionship, couples, Dana Stieglitz, Defender, Domestic Leadership, Dr Gil Stieglitz, Ephesians 5:23, five problems, Five Problems of Marriage, Five Problems of Marriage DVD, gardener, Good Book, H.U.S.B.A.N.D., honour, husbandmen, Intimacy, listening, Marital Intelligence, marriage, men, Needs, nurture, overwhelming, Past Baggage, radical, Relational Drainage, Repect, Rev Ed Hird, SAD Behaviours, Security, St. Simon's Church North Vancouver, Temperament Differences, Understanding, wives, women | Permalink. The only thing worse than not getting your own way is actually getting it! Being both successful and miserable is one of life’s worst curses. You may remember the famous song “I Did It My Way”. There is something inside all of us that wants to do things our own way, that doesn’t like to be controlled by others. But getting my own way too often usually means winning the battle but losing the war, winning the argument but losing the intimacy, winning the contract but losing the friendship. It is legendary how many good business friendships have been sacrificed on the altar of corporate success. 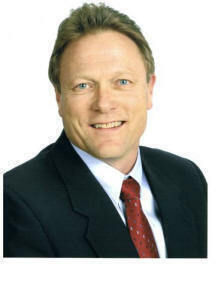 Conference speaker Patrick Tomter said a while ago that our fundamental enemy is fear (fear of losing control). This is why we tend to say “My will be done” instead of the alternative “Thy will be done”. Tomter believes that our mission in such situations is to identify the enemy (fear) and learn to embrace it, so that it becomes a tool for our growth. Embracing fear means to stop running from our fears and start accepting fear as part of ourselves. True friendships emerge when we finally accept the other just as they are, without preconditions or stipulations. To surrender our need for our own way is to finally stop, see and hear the other person for who they really are. There is no greater gift than to be truly listened to by someone who truly accepts and cares for you. That is why people have always been so attracted to Jesus, even if they couldn’t stand the church. They have sensed that here is a friend who truly understands, truly listens, and truly cares. Friendship is about giving our heart away to another. Friendship is about the willingness to not have our own way. Friendship is about being vulnerable enough to even let the one we love, hurt us without striking back. That is what the world’s most famous individual did as he hung on an executioner’s cross in unspeakable agony and simultaneously said “Father, forgive them for they know not what they do.” If you feel led to pray the Lord’s prayer this week, remember that to pray “Thy will be done” is both the death of the need to get your own way and the birth of a new level of friendship. Friendship in life is our deepest need: Friendship with others, and with Jesus the Source of life. My prayer is that those reading this article may experience a new depth and reality to their friendships in the days ahead. Categories: recovery, renewal, Uncategorized | Tags: Anglican Mission in the Americas (Canada), caring, closeness, cross, Deep Cove Crier, fear, forgiveness, freedom, friend, friendship, healing, I did it my way, Jesus, letting go, listening, Lord's Prayer, losing control, My Will Be Done, Patrick Tomter, success, surrender | Permalink. Most men are ‘experts’ on women, until we marry one. Experience can be rather humbling to our most treasured pre-conceptions. Flowers are, by far, the most popular gift that men like to give to women, followed by chocolates, candies, and other such delicacies. But perhaps the most valuable and most dangerous gift that we can give the women in our lives is the gift of listening. Heartfelt, non-critical listening is a rare phenomenon in our fast-paced, analytical culture. Listening takes time. Listening takes energy. Listening takes courage. To be honest, it often seems a lot easier just to give them chocolates. Most of us as men know that we need to grow in the area of listening. The most offensive thing about listening is how helpless it can make us feel. Very few of us as men either like to feel weak or admit our weaknesses. Despite the male consciousness-raising of the last thirty years, such radical vulnerability does not come easy. I well remember the first year of our marriage as a great time. My wife however has somewhat different memories…‘little things’ like our living on a shoe-string budget so that we could go on vacation in Europe, and my spending all my time studying for my Master’s Degree. Years later, she finally told me that the first year wasn’t a bed of roses. I said: “Why didn’t you tell me?” “Well, Ed”, she said, “You weren’t listening”. Sadly, she was right. One of the dangers of listening to women is that we just might hear something that we don’t want to hear. Our equilibrium may be so unsettled that it will take us quite a while to recover. The key women in our lives usually have a remarkable ability to impact our sense of inner calm, in a way that our male acquaintances rarely do. When a male upsets another man, we often just ‘write them off’ and carry on. But when a key woman ‘gets under our skin’, we have to deal with it, or our life begins to shrink. One of the key signs of a man going through a marriage breakup is the radical energy loss, and the consequent impact on his work. As men, we are usually so ‘thick’ that when a marriage breakup hits us, we rarely see it coming. It’s like being hit by a Mac Truck. So many men say: “I had no idea”. Exactly. More than any other offense, the action that most drives our wives to the Courts (and I don’t mean ‘tennis’) is our unwillingness to listen. Another danger of listening to women is that we might have to change. None of us like being controlled. We certainly don’t like being treated like children by the key women in our lives. Sometimes we confuse our fear of change with our fear of being controlled. Without change, there is no growth. Without change, there is no future. I have found that if I am willing to change the things that I can change (which is me), then the rest of life begins to make more sense. The famous A.A. Serenity prayer asks God for the serenity to accept the things that we cannot change ( which includes anyone else, especially the women in our lives). When we finally wake up and realize that women are ‘unfixable’ (that is, by us), then we can stop trying to change them, and start actually listening. Genuine listening to women can be unnerving, because to listen is to change. Most of us as men have an amazing ability to block out parts of conversations that make us feel uncomfortable. Ever wonder why women get so irritated with us, as so many men are forever flicking on the TV channel changer. This filtering ability can make men look like their memories are extremely selective. As the old saying goes, the problem with men is that they never remember, and the problem with women is that they never forget. I remember when a former secretary in another city came up to me and courageously shared some concerns with me about our work environment. My ‘walls’ were down that day, and so I actually heard what she was saying. I said to her, “Why have you taken so long to tell me?” She said, “Because until now you would have never listened. You would have just explained it away.” I felt stunned and challenged. Here I was, a trained Social Worker and Priest, and I couldn’t even see my own ‘walls’. The Good Book says that our hearts are deceitful, and that no one can really understand them. (Jeremiah 17:9) We have an amazing ability to fool ourselves. Have you noticed how often we judge our spouses by their actions, and ourselves by our good intentions. That is why Jesus challenged each of us to first remove the log from our eyes, before we try to do surgery on the splinter in someone else’s eye. Courageous listening is choosing to remove that log of defensiveness, and actually give the women in our lives our full, uncompromised attention. I have found that my wife is virtually always right even when she is wrong. She, and most other women, have a God-given intuitive ability that functions like a radar system in discerning basic truth. Sometimes she can’t even tell me why she is feeling so uncomfortable about some area, but in hindsight, my listening to her has saved me a lot of grief. That doesn’t mean that she is always right on all the details, but she usually intuitively grasps the core of issues. That is why the famous author Gary Smalley says that every woman has a built-in marriage manual, if we men would only have the courage to listen and not reject It has taken me a long time to fully benefit from this ‘dangerous’ gift of my wife. Have you ever wondered why Jesus after his resurrection turned up to women first? Perhaps it’s because women are so spiritually open. No one in that 1st century culture listened to women, except Jesus. So Jesus, after rising again, broke all the rules and showed up to rejected, despised, ignored women. Did the male disciples initially believe the women when they shared about the risen Jesus? Not in your life. Like so many of us men today, they wrote off the women’s stories as “old wives’ tales”. I pray that we men may have the courage to listen to the stories of women, especially their stories of Jesus’ love. Categories: marriage, relationship, relationships, Uncategorized | Tags: AA, Anglican Mission in the Americas (Canada), bed of roses, built-in marriage manual, candies, change, chocolate, Control, danger, deceitful, defensiveness, divorce, fear, flowers, Gary Smalley, good intentions, Jeremiah 17:9, Jesus, listening, log, marriage, resurrection, Serenity Prayer, splinter, TV Channel Changers, unfixable, women | Permalink.